"I talk to parents and coaches all the time who want to take short-cuts and rush the development of athletes. The most common belief is that if you just practice your sports skills (dribbling, shooting, setting, hitting, fielding, etc.) enough, you’ll be a great athlete. Unfortunately, that’s just not how great athletes are developed. Take a look at who dominates most youth sports – it’s usually the fastest, strongest kids. Because they’re faster and stronger, they are almost always more coordinated which makes learning sports skills much, much easier. Sometimes, kids with amazing skills rise up at an early age, only to be overtaken by the bigger, faster kids down the road. Rarely do you see a slow, weak athlete rise to the top of any sport. I’m not even talking about being the best in the world. Just take a look at high school sports. Faster, more explosive kids are almost always dominating kids who have good skills but just can’t use them because they’re too slow. Talk to just about any coach, and they’ll tell you that faster, more explosive athletes dominate sports and have a much higher athletic ceiling. There is plenty of research supporting this concept, and just about every national governing body (i.e. US Hockey, US Lacrosse, etc.) is trying to implement long-term athlete development systems that don’t focus exclusively on sports skills. They know that the better all-around athletes end up enjoying sports more and eventually out-perform those who focus exclusively on skills, but our microwave mentality often gets in the way of this process. "Better all-around athletes end up enjoying sports more and eventually out-perform those who focus exclusively on skills." So, what are you supposed to do about it? The answer depends on where the athlete is in his/her development. Let me give you some guidelines and practical tips that you can apply. The age ranges below are not set in stone (developmental age is more important), but they give you a framework to work from. Under 8 years old: For athletes under about 8 years old (every kid is an athlete at that age), parents should expose them to as many different activities as possible. This is a critical time to “lay down the circuit board” for an athlete and develop a large movement repertoire. Practice what we call “Fundamental Motor Skills” like hopping, skipping, throwing, catching, climbing, tumbling, balancing, etc. Do the things that were taught in gym class back in the 60’s and 70’s. Make up fun games or obstacle courses and get kids to learn what their bodies can do. 8-11 years old: For kids about 8-11 (who have decent motor development), it’s time to expand their “physical literacy.” Physical literacy is the new term for “all-around athleticism,” and it’s basically all about enhancing those fundamental motor skills by adding speed and complexity to them while sport-specific skills start to take shape. Certain sports like gymnastics and figure skating require a much earlier commitment to skills, but just about every other sport relies more heavily on the “slow-cooking” approach. At this age, athletes should still participate in multiple sports/activities, and overall athleticism should be the focus. Teach athletes how to run, jump, catch, kick, throw, etc. with more power and accuracy, and begin to develop strength & speed by teaching mechanics and body weight exercises. 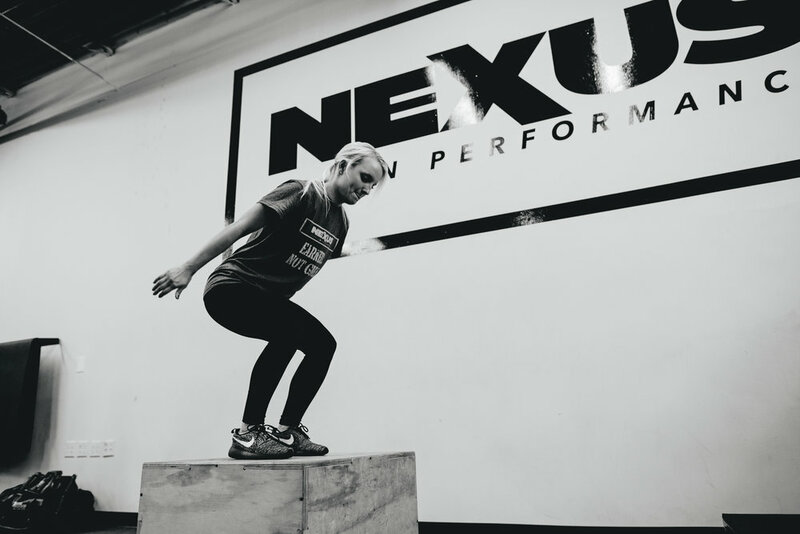 Exercises like push-ups, pull-ups, lunges and jumping activities should gradually be incorporated into an athlete’s routine, but not so much that the athlete dreads them. 2-3 days a week of 20-60 minutes is more than enough to supplement what is probably not being addressed in gym class or sports practices. Have athletes practice sports skills they show interest in, but encourage work in multiple sports throughout the year. Allow kids to concentrate on a sport while they’re in-season, but move on to a different sport to keep things fresh. Allowing kids to play on teams with their friends and coaches they like is very important at this age because it makes sports more fun. Igniting an inner desire to play and improve is important at this age, and fun is an ingredient you can’t use too much of. Of course, there are always exceptions to this with kids who absolutely love one sport and don’t want to do anything else. Those kids should still take breaks so they look forward to coming back for more. The most important goal at this age is to make each season or experience enjoyable enough that they want to come back for more. Try not to get sucked into too much seriousness yet – there’s plenty of time for that later. 11-14 years old: The ages of 11-14 are critical for speed & agility development because these traits are more easily developed before the massive growth spurts during adolescence. This is the age when more focused training can take place as long as the foundation has been laid. If athletes at this age are still struggling with fundamental motor skills, more time definitely needs to be spent on these skills. It’s always a good idea to take one step back in order to take two forward, so don’t be afraid to work on fundamental movement skills and keep things fun. Development over competition should still be the guiding theme at this time. Many athletes need considerable work on running mechanics at this age because they simply have not been properly addressed yet and parents/coaches start to notice a lack of speed. Growth spurts can also disrupt movement patterns, and once-coordinated kids can lose some of their smoothness. Good training can usually avert this. "Athletes should gradually move to a year-round approach that includes brief exposures to training multiple times a week. Most of this can still be corrected/improved, but it will usually take a more structured approach to make up for what was missed at an earlier age. Unfortunately, most athletes in this age range are already so over-scheduled that parents find it difficult to fit in this kind of training. Parents/coaches need to find windows of opportunity during the year to focus on physical literacy and athleticism. The off-season is the best time to address these traits, but athletes should gradually move to a year-round approach that includes brief exposures to training multiple times a week. Sports are definitely getting more serious during these ages. Kids start to gravitate to a sport, they start to notice who’s good at sports, and they usually decide how badly they want to pursue a sport during this stage. Many kids will start to ask for more help or they’ll begin to practice more on their own. Put kids in situations that gently challenge them without making it so difficult that they feel completely incompetent. A little struggling helps athletes grow, but emotional development is important to understand at this stage. Some kids are ready for more than others. Some will step up to large challenges while others need a little less pressure. By the end of this stage, kids on a path to great sports success will start to concentrate on one sport. This is OK, but a secondary sport is still encouraged to keep things fresh and encourage competition is multiple ways. “Early-recruiting sports” will add another level of complexity to high-performers, and these athletes will be put in high-pressure, competitive situations. Try to wait as long as possible to take part in these events, but there is no way to avoid them in certain sports when an athlete is on track to being an elite performer. These events will start to reward achievement over development, so waiting as long as possible for this extends development. Athletes who are not on a high-performance path should be encouraged to continue improvement and find enjoyment in sports. For some, that means pulling back on a busy schedule. For others, that means adding more activities that promote athletic growth and confidence. The goal is still to make sports/activities enjoyable enough that they want more. For competitive, high-performers, the term “enjoyable” will mean getting better and they will thrive in competitive situations that stretch them. For less-competitive athletes, enjoyable is still about developing competency, but pressure should be lessened in order to maintain confidence and the desire to continue. There should never be a time where we “de-select” kids or encourage them to quit. While it’s obvious that not every kid will be elite, there is much more to sports and athletic development that being a professional athlete. 15 years old & up: Athletes 15 and up have often concentrated their efforts on one or two sports, and competition takes on a larger role. This is usually the time where the faster, stronger athletes really begin to excel whereas the slower, weaker athletes lag behind, get injured or quit sports altogether. Speed and strength can still be addressed at this age, and most serious athletes are now engaging in some sort of structured training program to enhance their strength, speed, and power. Athletes who have not developed the foundation can still improve their physical literacy, but they are at a distinct disadvantage if those traits weren’t addressed earlier. Much more concentrated efforts to develop strength and power should be applied in this age range because athletes are better able to adapt to more intense training. High-performers will usually start to concentrate on one or two sports because their busy schedule will not allow for too many additional activities. Competition and exposure events will take on greater importance for these athletes, but development should still be the priority. Very few athletes have reached their full potential at this point, so we should strive for constant improvement even for elite performers. Non-elite athletes should be encouraged to learn the process of maximizing their potential and being the best they can be. This is an important lesson and will make their sporting experiences much more valuable and enjoyable. Many non-elite 15-year-olds still end up being elite at some point or in some sport, so it’s important to encourage constant improvement. There are countless stories of kids getting cut from a sport as a freshman and eventually becoming professional athletes, so we shouldn’t de-select kids from the high-performance track if they have the desire to continually improve. A single summer of development can have a profound impact on a young athlete, so continue to support these young athletes to take full advantage of what is available to them. I hope this helps you understand the process of long-term athletic development and gives you some practical ideas for how to help your athlete/s. There is not a cookie-cutter approach to developing an athlete, so it’s important to give each athlete what he/she needs and avoid experiences that lessen their desire to excel. Comment below so we can talk about the best way forward. Jim Kielbaso is the President of the IYCA and the Director of the Total Performance Training Center in Wixom, MI where he helps develop athletes of all ages and ability levels. He a former college strength & conditioning coach and also works with many elite athletes. He also has three boys of his own, so he has seen athletic development from every angle." We want to thank Jim for not only reaching out and sharing this with us, but letting us re-share so we can all better understand how to approach Youth Sports Performance. If you have questions or are curious about what we offer, contact us or check out our youth sports performance service here. Comment below with your thoughts - we'd love to hear your take.